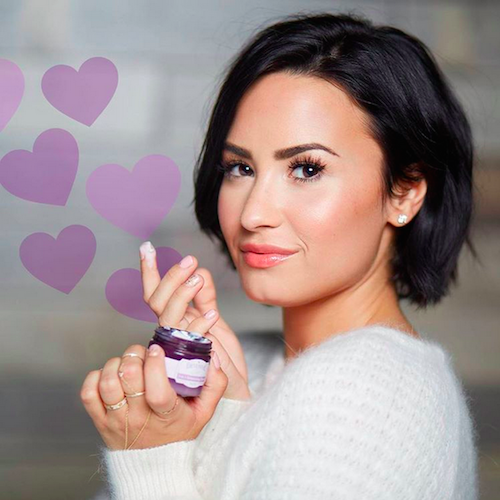 How many of you knew that Demi Lovato had a skin care line? Okay, but how many of you knew she really knows her beauty?! Now I’m certainly not the target client for Devonne by Demi. It’s billed as the skincare line to bridge the gap between your pimple years and wrinkle years and lucky me, I’m old enough to have wrinkles and sadly enough, still get pimples from time to time as well. What I’ve found though is, sometimes less is much more for me and I have to admit, I was pleasantly surprised by this easy to use little line! It’s made up of some great ingredients! Look for natural ingredients like Apple Fruit Extract to boost moisture, Willow Bark for soothing and calming, Reishi Mushroom for clarifying and radiance, Licorice Root for brightening, Rice Bran for mild exfoliation, Green Tea for free radical protection and Wakame Seaweed Extract for environmental protection. Pretty solid stuff! As important as what ingredients are in the products, is what’s NOT in there, which is equally important! There are no sulfates or parabens! It comes in a kit of 3 or 4 products. I have the 4 piece kit which includes the Mud Mask! Deep Facial Cleanser– is powerful enough to remove even heavy stage makeup. Some types of waterproof and water resistant mascaras and liners may need an eye makeup remover. It uses a deep cleansing but non stripping, coconut based surfactant and smells like a luscious light peppermint, botanical elixir. Hydrating Radiance Mist- is revitalizing with a blend of marine and botanical extracts to boost moisture and increase brightness. It is a superfine mist and I didn’t really feel it at first but it was there! It feels very refreshing and hydrating and you can use it to set your makeup! 3 in 1 Moisturizing Primer– is a primer, moisturizer and and skin-clearing treatment. The primer part is the silicone. It works by sitting on top of the skin, acting like a coat of Spackle. It will protect from moisture loss and it fills in pores and fine lines. Makeup will glide on smooth and stay flawless. It really works but it’s not one of my personal favorite ingredients. There are several moisturizing ingredients like the Apple Extract, Aloe and Sunflower Extract. The skin-clearing comes in from the Rice Bran and the Licorice and Mushroom extracts. This product is for someone who still has some moisture in their skin and not for the very very dry which I’m not, so I liked the amount of moisture it gave me. Clarifying Mud Masque– is pore minimizing, calming and balancing. You will find it doesn’t really dry and draw on the skin like some mud masks. In fact it drys on the skin just partially in the 10 minute suggested leave on time and leaves you quite hydrated and clean feeling. I loved this mask and found I could use it on my entire face without the kaolin drawing out too much moisture. Great balance in the product! 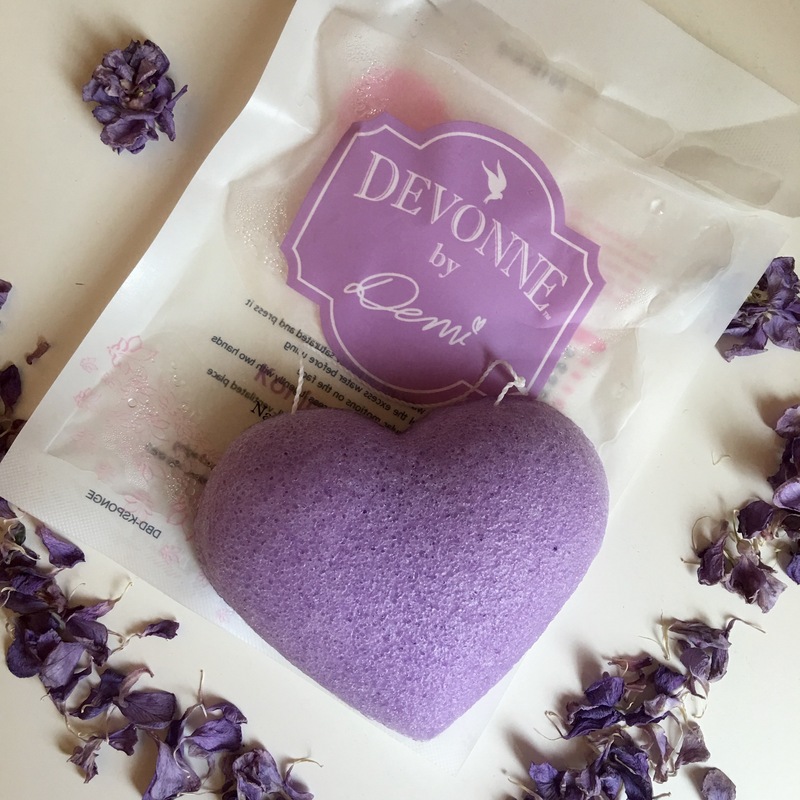 Last but not least I got one of the Konjac Sponges as a little gift from Devonne. Pretty cute and practical especially for a Valentines Day posting! I love a Konjac Sponge as you may remember and this one is no exception. They’re made with all natural fibers and great for a mild exfoliation. I’m all about mild exfoliation. If you have normal or normal to oily skin, at any age, I think this line could really work for you! It’s quite affordable at only $29.95 for a 1 month supply of 4 products and the packaging is super pretty and unique (I mean I want it to look nice sitting on my vanity right!) and you get a free candle! 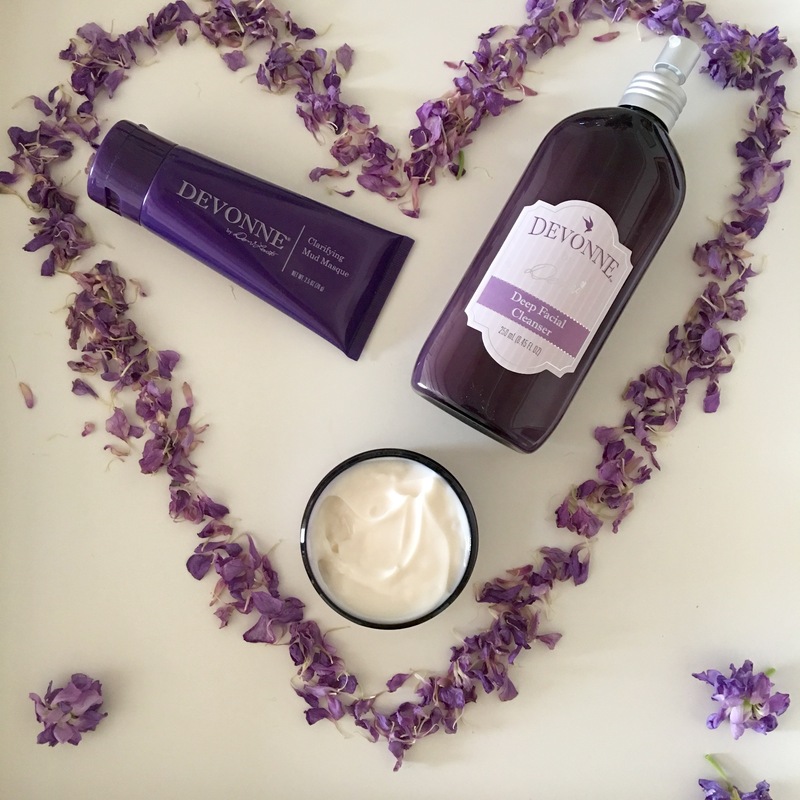 Demi is right when she says skincare is self-care, so show yourself some love this Valentines Day! P.S- I was not paid to post this. These are all my own opinions and observations. I just love the Hydrating Radiance Mist! It’s so refreshing and hydrating! Great ingredients in there.